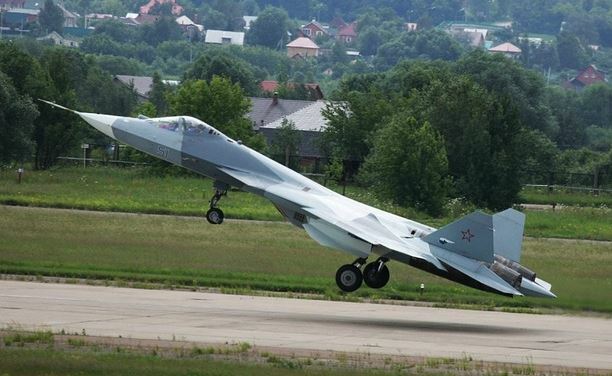 HT to Militaryparitet.com for pointing to Lenta.ru on the status of work on PAK FA’s advanced “second phase” engine. Lenta (citing Interfaks) says a source close to ODK General Director Vladislav Masalov says a PAK FA with the “second phase” engine will fly in 2017. He reportedly said the “second phase” engine will replace “item 117” and give PAK FA supercruise capability while being 15-18 percent more fuel efficient and cheaper to maintain. Lenta notes the developmental engine is “item 30” not “item 129” as cited previously in Russian media. The AL-41F1 is “item 117.” Current PAK FA prototypes and the Su-35S have “item 117S” (AL-41F1S) engines. Recall, in 2010, ODK along with NPO Saturn hoped the “second phase” engine would fly by 2015. However, OAK President Pogosyan was considerably less sanguine, saying that the advanced engine might come in 2019, or later. Lenta.ru had an informative piece on the PAK FA’s “second phase” engine yesterday. It calls the “second phase” engine “Item 129” [Изделие 129]. Lenta also says the provision of the first “Item 129” engines will coincide with the first PAK FA or T-50 fighters entering the force in 2015. It notes the “first phase” engine is “Item 117” or AL-41F1 [АЛ-41Ф1]. The AL-41F1 will be used in the prototypes and the first series models which will enter the Air Forces’ inventory in 2015. It has 19,334 lb. dry thrust, and 33,047 lb. with afterburners. It is equipped with a plasma ignition system, all-aspect thrust-vectoring control, and digital controls. The Lenta piece says a less powerful variant of the AL-41F1 – the AL-41F1S or “Item 117S” – will be put on the Su-35S fighter. The AL-41F1S has an older digital control system and a little less thrust. According to Lenta, not much is known yet about “Item 129.” It was announced earlier it will have increased thrust and greater fuel efficiency than the AL-41F1. “Item 129” will reportedly have 24,054 lb. dry thrust, and 39,566 lb. with afterburners. The newer engine’s also likely to have a longer service life. Lenta adds a report from Sukhoy that it expects to finish prototype airframe testing either this year or next. In 2013, the Defense Ministry’s supposed to get 10 experimental aircraft for combat employment testing.